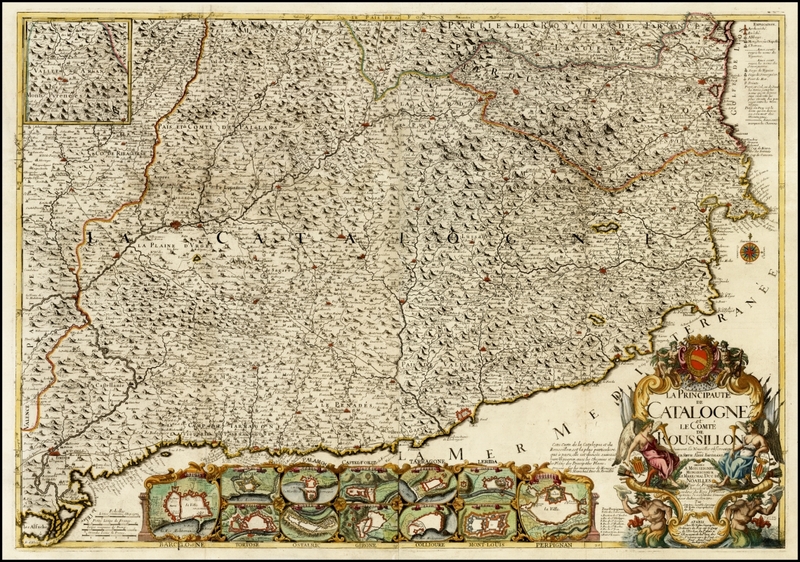 Magnificant map of Catalonia and Roussillon, by Jean-Baptiste Nolin based upon information provided by the Abbe of Baudrand. The map is finely detailed, showing towns, roads, rivers, mountains, lakes, cities, bays, islands, castles and a host of other details. Embellished with 2 plans of fortified cities, from Barcelona to Perpignan. 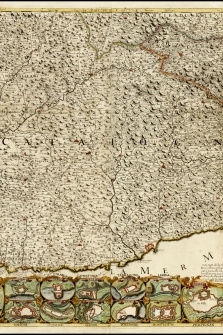 The inset shows the area of the Valley of Aran, in the Catalan Pyrennes.